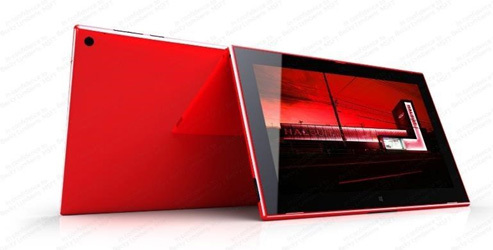 Recently, we saw an image of a red Nokia Windows RT tablet surface alongside a few specs. Today, winsupersite posted a render of the device (not sure if is official) and a detailed breakdown of the specs including pricing. Key features: 10.1-inch Full HD screen with outdoor readability, LTE, 6.7 megapixel camera with Carl Zeiss optics, unique companion experiences with Nokia apps. Peripherals: Innovative multi-function cover with keyboard and additional battery life. It will be very interesting to see how they market this as the price point is a bit too high for a Windows RT tablet. Gorgeous device! Digging the Red!